15. Alfred Edward Mathews (1831-1874). 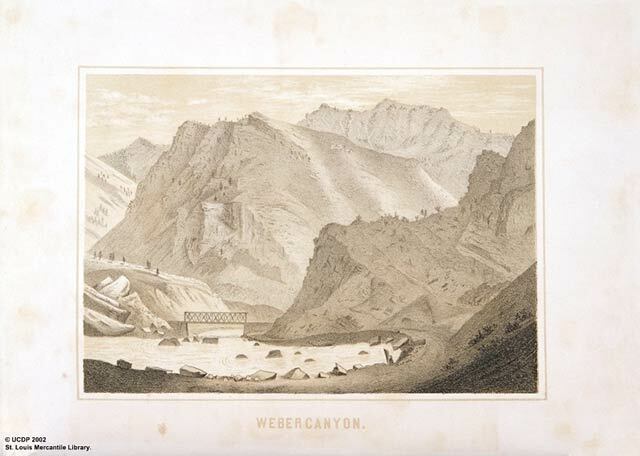 Weber Canyon. Tinted lithograph, Plate 19. Mathews, A.E. Gems of Rocky Mountain Scenery. New York: The Author, 1869. St. Louis Mercantile Library at the University of Missouri - St. Louis.
. The view here shown is from the Devil's Gate, looking down, and shows the railroad bridge that crosses the river just below."